The year’s final Grand Slam is set to start and all eyes are on New York City. Here are our top 4 storylines to follow on the women’s side. 1. 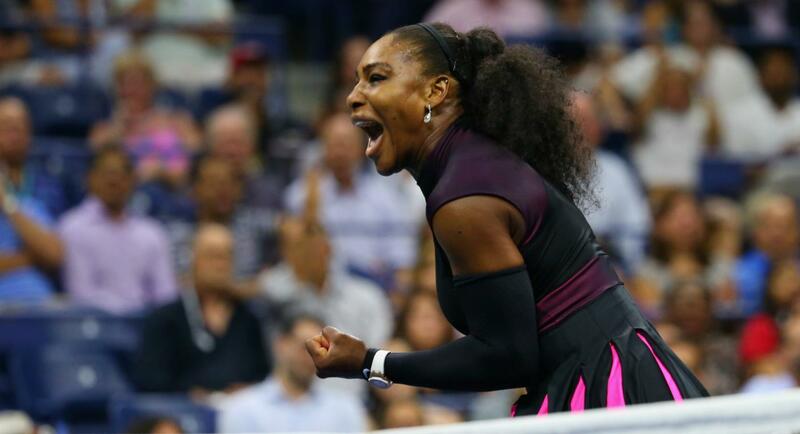 Can Serena Williams Win Again? This time last year, Serena Williams was giving birth to her first child, Alexis Olympia Ohanian Jr. Since her return to the tour, Williams has been understandably up and down, losing early in 3 of 6 tournaments, but also making the fourth round at the French Open and the final of Wimbledon, falling relatively meekly to Angelique Kerber. But anytime the 23-time Grand Slam champ even shows up, opponents better beware. 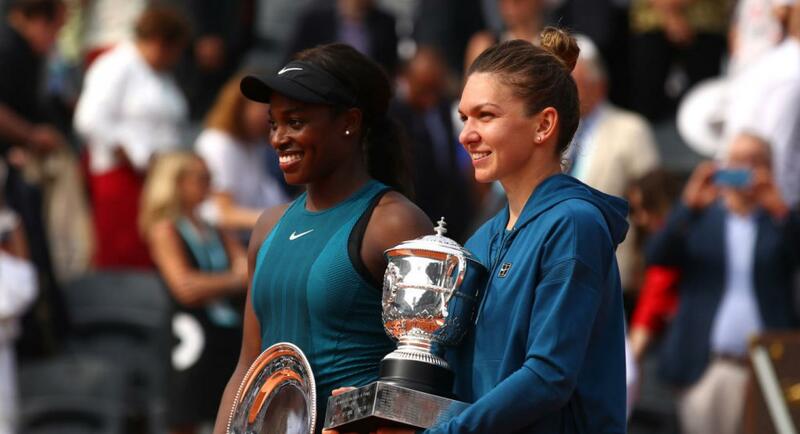 Known for being able to play herself into form as the tournament progresses despite few warmup events and very little match play, Williams would shock absolutely no one by lifting the trophy in two weeks’ time. Ahead of the tournament, Williams claimed that “if anything, I have more fire in my belly”, compared to before her 13-month hiatus. “I work just as hard if not harder actually. I just feel like I take it just as serious if not more." Williams got a bump in seeding to no. 17 (up from current rank of no. 26) and claims she hasn’t looked ahead at her draw which may be a good thing. Williams has one of the more difficult roads to victory, with a possible clash with sister Venus in the third round, followed by world no. 1 Simona Halep. Waiting in the quarters could be Garbine Muguruza or Karolina Pliskova, and it only gets more difficult from there. If Williams does win in two weeks, she’ll tie Margaret Court’s Open Era record of 24 Grand Slam titles. 2. How Will Recent Grand Slam Winners Fare? 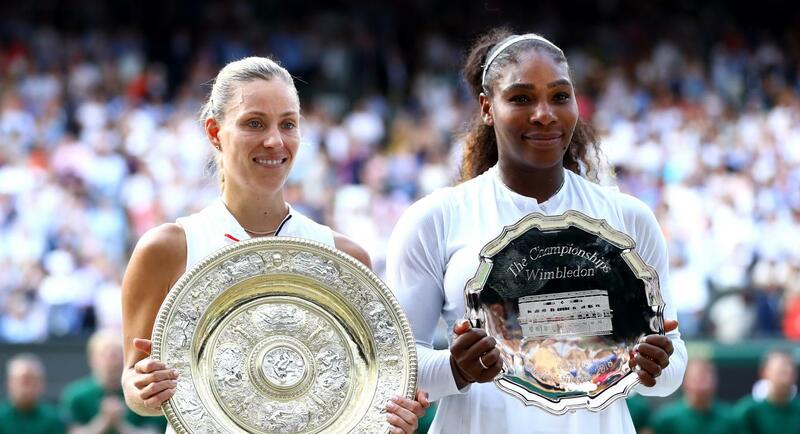 The last seven Grand Slam titles have been claimed by seven different women, with no one being able to gain an edge up on tennis’ biggest stages. Simona Halep looks to be the most solid of the group, with most tennis pundits picking the reigning French Open champion and world no. 1 to win in New York as well. She comes in hot, winning win 9 of 10 matches in two rain-plagued weeks to take the title in Montreal (over Sloane Stephens) and reaching the final in Cincinnati. She bowed out in the first round in New York last year to Maria Sharapova, meaning the Romanian can further solidify her top ranking with a deep run. But to do so, she’ll have to navigate a minefield, slated to face either Venus or Serena in the round of 16, followed by Garbiñe Muguruza or Karolina Pliskova in the quarterfinals, before a potential semifinal against Stephens or Elina Svitolina. After a dismal 2017, Angelique Kerber has been having a resurgent year. She knows how to win in New York, having taken the title here in 2016, but the reigning Wimbledon champion tends to need a lot of matches to get her into top form. 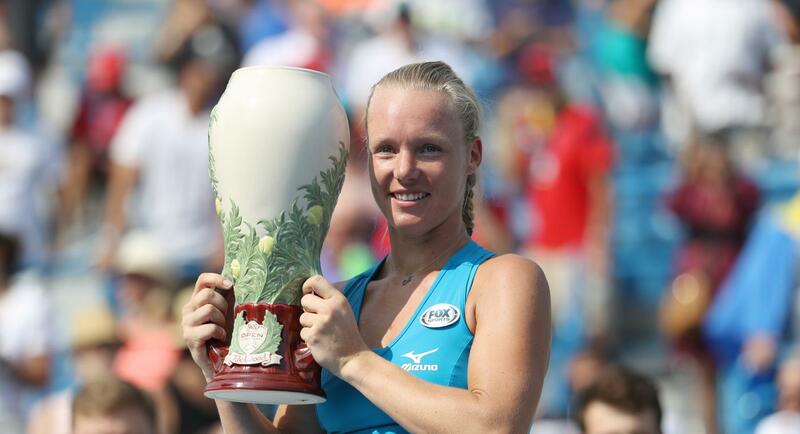 She’s already won 40 matches this year, but only two since hoisting the Venus Rosewater Dish. If seeds hold, Kerber will face Madison Keys in the round of 16, who dealt Kerber a lost in her most recent tournament in Cincinnati, with world no. 5 Caroline Garcia possibly waiting in the quarters. World no. 2 Caroline Wozniacki started off the year in terrific fashion, winning her maiden Slam in Australia as well as the Eastbourne title on grass. However, since a second-round loss at Wimbledon, the Dane has only played two hardcourt matches, losing both. More troubling, she retired with a left knee injury two weeks ago in Cincinnati. Provided she can get past 2011 US Open champion Samantha Stosur in the first round, Wozniacki has a relatively clear path to the quarters where she could potentially face an in-form Petra Kvitova. 3. Who’s Coming in Hot? In the four-week North American hardcourt lead-up to the US Open, a few women have stood out with their hardcourt prowess. Leading the pack is Simona Halep, whose stamina was put to the test in Montreal and Cincinnati, sometimes having to play two matches in a day due to rain delays. However, with last week off she should find herself well-rested ahead of the year’s final Grand Slam. Two other winners could be considered dark horses in New York. Dutchwoman Kiki Bertens defeated four Top 10 players to win the biggest title of her career in Cincinnati, including wins over world no. 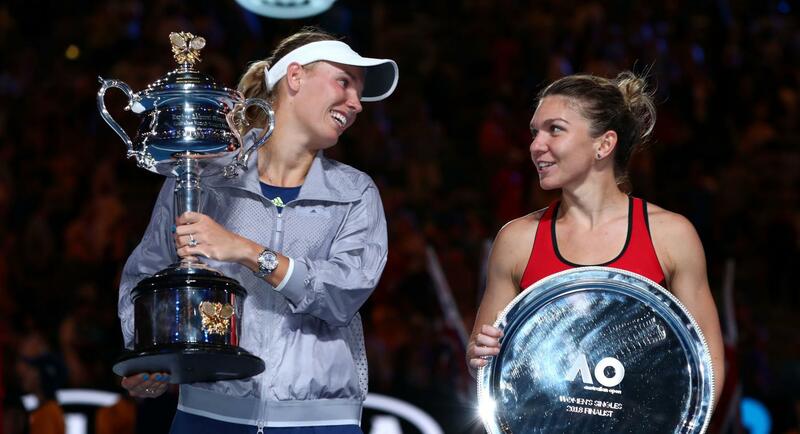 1 and 2, taking out Wozniacki, Petra Kvitova, Elina Svitolina and ultimately, Simona Halep in the final. The week prior in Montreal, she knocked out Karolina Pliskova and Kvitova on her way to the quarters. Known primarily as a clay-court specialist, Bertens is now up to a career-high no.13. 20-year-old Aryna Sabalenka progressively got better during the US Open Series, saving match points on the way to defeating Wozniacki in Montreal before making the semis in Cincinnati where she notched wins over two current Top 10 players (Karolina Pliskova and Caroline Garcia), and two former ones (Johanna Konta and Madison Keys). In last week’s tournament in New Haven, the final tune-up for the US Open, Sabalenka claimed her first ever WTA title, taking out former US Open champion Samantha Stosur, defending New Haven champion Daria Gavrilova and world no. 9 Julia Goerges on her way to the final where she beat Carla Suarez Navarro in straight sets. The hard-hitting Belarussian is fearless off both wings, happy to take big swings and aim for the corners. Sabalenka is seeded (no. 26) in a Grand Slam for the first time and could potentially face Kvitova in the third round. An honorable mention goes to Romanian Mihaela Buzarnescu who won her first WTA title at the Mubadala Silicon Valley Classic in San Jose. At the age of 30, she’s enjoying a career-defining year, rising from the 130’s to her current rank of world no. 21 based on some steady play this year, including two other final appearances. Unfortunately, an ankle injury in Toronto means she won’t be competing in New York this year. 4. How Will Players Cope with New Changes? Players and fans alike should prepare for a new-look US Open. The biggest change to the Billie Jean King National Tennis Center in Flushing Meadows is the addition of a brand new, USD $150 million, 14,000-seat Louis Armstrong Stadium. Compared to the largest tennis stadium in the world, the 23,771-seat Arthur Ashe stadium next door, Armstrong is downright intimate. The new Louis Armstrong comes with a retractable fabric roof, meaning two show courts are guaranteed play in the event of rain. While the 6,400 seats in the lower bowl are reserved seating, anyone with a grounds pass can sit in the more than 7,000 seats in the upper bowl. The biggest change for players, however, will be the use of shot clocks aimed at increasing the pace of play as well as a more consistent enforcement of existing timing rules. The clocks will count out the 25 seconds a player is allowed between the chair umpire announcing the score following the previous point and the server beginning his or her service motion. The clock will also count the seven minutes before the start of play, including 1 minute from when both players arrive to their seats to the coin toss, 5 minutes for the warmup and 1 minute until the opening point. There will also be new on-court chairs for the players, inspired by New York park benches and skyscrapers, and there will be electronic line calling on all match courts for the first time at a Grand Slam which should help equalize the playing field.